I was looking around the web for something like this and found a few similar recipes, but most used hotdogs and none had any veggies in them. So I came up with this…turned out quite well. Preheat oven to 400F. In a large dutch oven, saute the sausage until cooked through (if not already fully cooked) and starting to brown. Add the zucchini and green pepper and cook a few minutes longer. Add the can of baked beans and about 1/2 the can of corn. Stir everything together. In a bowl mix the dry ingredients for the cornbread. Add the wet ingredients and the other half of the can of corn. Mix the cornbread batter and pour on top of the sausage, bean and veggie mixture. 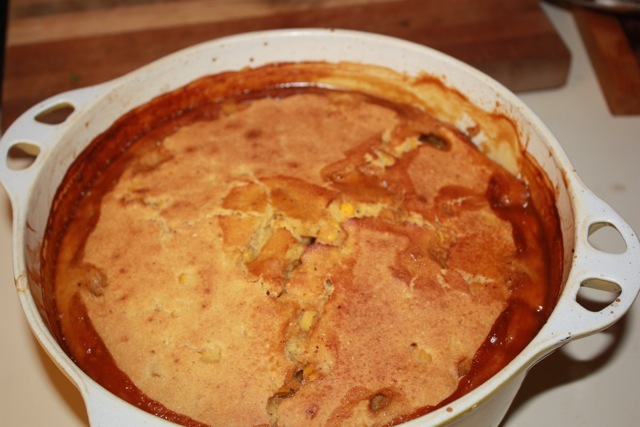 Put in the oven and bake until the cornbread topping is cooked through, about 40 minutes. Cool a bit and serve. 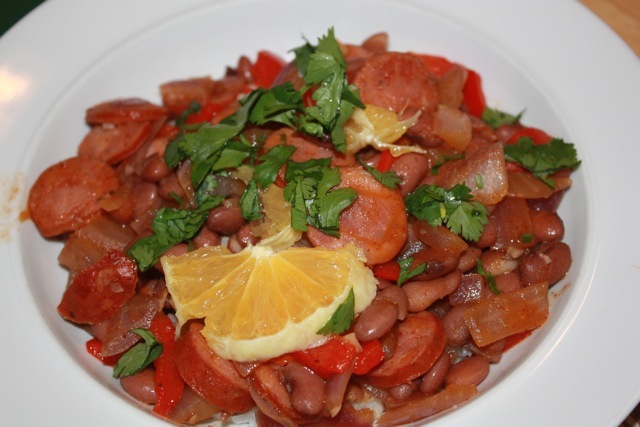 Earlier in the week we made the beer-glazed beans with chorizo and orange from Mark Bittman’s book. 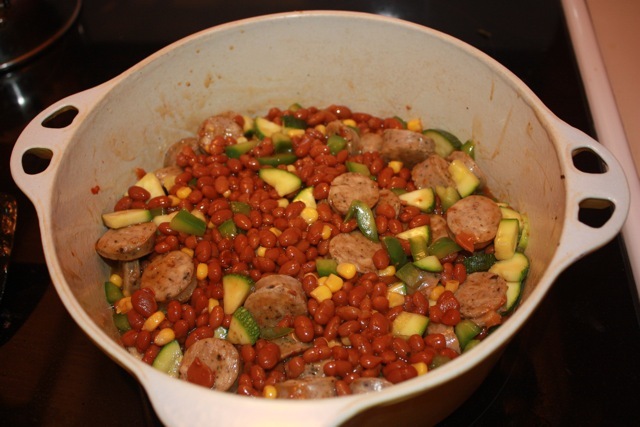 We used andouille sausage and some pinto beans that we had left over from another meal. 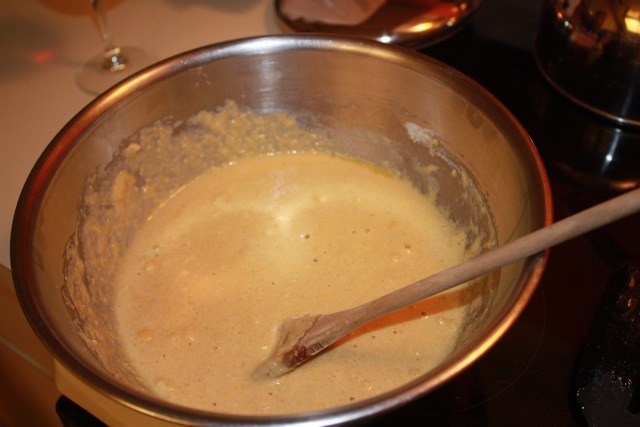 We cut the amount of beer a bit so that it thickened faster and was ready sooner. Turned out really good and was a fairly quick weeknight meal.